Local author, Elie Nasrallah will be here on Saturday, September 30 from 12:00pm to 3:00pm to sign copies of his book Hostage to History. 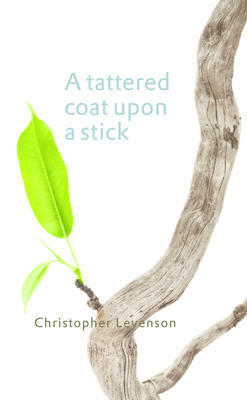 Join us on the evening of Thursday, September 28 to hear local poet and former Carleton University professor, Christopher Levenson read from his newest book of poetry, A Tattered Coat Upon a Stick. The reading will begin at 7:00pm. Copies of A Tattered Coat Upon a Stick will be available to purchase, as well as copies of an earlier poetry collection, Night Vision, which was shortlisted for the 2014 Governor General’s Literary Awards. This is an unusual memoir by a writer about a writer. Adam Gopnik tells us all about himself, his blessed marriage, and his hugely successful career in New York City where he is famous as an essayist and a novelist. At the Stranger’s Gate covers the 1980s when Gopnik and his bride left a secure spot in their hometown of Montreal and decided to go for the bigger challenges that New York offered. Gopnik had a fellowship in art history and planned to get writing jobs on the side. He was soon working at the Frick Art Reference Library, the Museum of Modern Art, and sending essays to the The New Yorker which quickly earned him a permanent spot. He and Martha could only afford a basement studio which measured 9 x 11 feet and was situated on the Upper East Side. They called it their Blue Room, after a popular song of the day and were apparently happy for three years. They explored the whole of Manhattan, often by walking, and the book’s title refers to a distant corner of Central Park which they loved. Adam’s writing career continued to flourish, thanks to his funny and frank way of expressing himself. There were also some terrible moments, however, as when his brand new suit trousers fell out of the garment bag on the way home and he never did find them. In the 80s, New York was becoming a city of greed where its beauty (like art and music) and its necessities (food and real estate) went to the highest bidder. This book gives an excellent picture of how one family persevered in making it a successful home. This is the up-close story of a number of Indigenous girls and women living in a northern Canadian town and suffering some form of hurt and disaster for which they have not been helped. We hear about these women as a group, but this book shows what they suffer individually. It begins with a possible incident on The Break, the name given a strip of barren land that runs through a poorer part of town. Stella, a young Metis mother, looks out and sees a body knocked down and blood on the ground. When the police come, they don’t believe her story. The rest of the book introduces a number of other girls and women from First Nations who have their own tragedies. They all turn to each other for comfort, and usually have a wise and kind grandmother, called Kookom who helps them through. There is also Officer Scott, a Metis policeman, who feels caught between two worlds as he patrols the city. 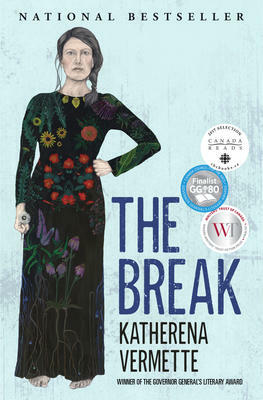 This is Katherena Vermette’s first book of fiction (she has published North End Love Songs, a book of poetry). She does a fine job of showing the resiliency of Indigenous women and the power of family love and also helps the rest of us try to understand how to help them. September is here and seems to be trying to make some kind of seasonal point – summer is over and fall has arrived! While we’re sad to see the “warm” sunny days disappear, there’s something pretty special about this time of year. From the turning of the leaves to the shortening days, the smell of freshly sharpened pencils hanging in the air to the unquenchable urge to buy school supplies. Like the squirrels and chipmunks we see running around storing up nuts for the winter, the cooler weather reminds us that it’s time to feather our own nests in preparation for the cold season to come – and what better material to use than books? Fall is a very big season for book releases and events as we slowly march towards that most sparkly of holidays in late December. As such, we have a great lineup of store events to tell you about. First off, our Titles@Table40series is back for another season! We’re so excited to be kicking things off with one of our local favourites, Frances Itani. Bringing her Desoronto Series to a close, she will be joining us for dinner on Sunday, September 10 to talk about her brand new novel That’s My Baby. A long-time friend of Books on Beechwood, Frances is a wonderful author and a beautiful speaker. Anyone attending this event is in for a real treat! On Wednesday, October 11, we will be playing host to Newfoundland author and Titles@Table40 newbie, Wayne Johnston. He will be talking to us about his new novel, First Snow Last Light. Now in store, this new novel follows the story of a young boy who arrives home from school one day to find his house empty and his parents gone. Unsure of what’s happened to them – Murder? Suicide? Abandonment? – young Ned’s life from then on is steered by his desire to discover the truth. Leading our fall Titles@Table40 lineup right into the holiday season, whisky expert Davin de Kergommeaux is coming by on Sunday, November 26 to teach us about great Canadian whiskies. 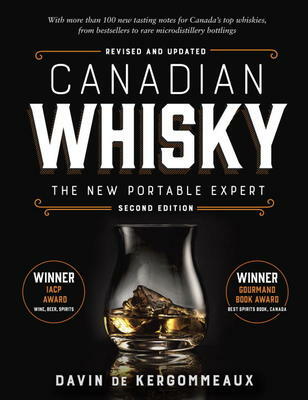 His new book, Canadian Whisky: The New Portable Companion, is a concise and detailed spirit bible for anyone who enjoys capping off their day with a wee peaty dram. Tickets are now available for all three of these events, so be sure to call or visit us soon to book yours! Here’s a reminder of how our dinner events work. In addition to our dinner series, we have a fun new crop of book signings happening in the store over the next month. Local author Jennifer Cook will be here on Sunday, September 10 from 2:00pm to 4:00pm to launch her new children’s picture book Amazon Jungle Adventure. Inspired by travels in her own life, the story follows two children as they travel to the Amazon, make new friends, experience new things, and explore a beautiful and intriguing part of the world. Full of brightly coloured illustrations, this charming story is sure to become a bedtime favourite! Gita Baack is going to be paying us a visit on Sunday, September 17 to sign copies of The Inheritors: Moving Forward from Generational Trauma from 1:00pm to 3:00pm. In addition to the book itself, the accompanying journal will also be available so readers can record any of their questions, thoughts, and feelings as they continue on their own journeys. On Thursday, September 28, Christopher Levenson will be in the store for a poetry reading! The evening starts at 7:00pm and he will be reading from his newest book of poetry, A Tattered Coat Upon a Stick. 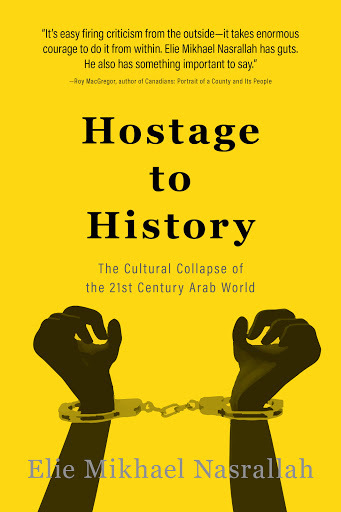 Closing out the month, one of our top-selling local authors, Elie Nasrallah, will be in the store from 11:00am to 4:00pm to sign copies of his book Hostage to History. Taking a brief peek into the first week of October, be sure to stop by the store on Wednesday, October 4 between 6:30pm and 8:00pm to meet local mystery author Mike Martin. He will be here launching his brand new Sergeant Windflower novel, A Tangled Web, set once again in the beautiful province of Newfoundland. Finally, Margaret Southall will be in the store on Saturday, October 7 from 1:00pm to 3:00pm to sign copies of her brand new novel A Jacketing Concern. We know people hate hearing about Christmas this early in the fall, but it’s hard not to get at least a little excited about what lies ahead when we have so many exciting new books pouring into the store. Peter Jones, the classicist who’s brought us such quirky histories as Veni, Vidi, Vici: Everything You Wanted to Know About the Romans But Were Afraid to Ask and Eureka! : Everything You Wanted to Know About the Ancient Greeks But Were Afraid to Ask, has done it yet again with his new book, Quid Pro Quo: What the Romans Really Gave the English Language. Exploring the original meanings and stories behind hundreds of everyday words, readers get real insight into just how much the English language owes to the ancient Romans and the different ways they communicated. Another one for the history buff, 1066 and Before All That by Ed West. The first in a new series in which each volume is branded as A Very, Very Short History of England, this book clocks in at just 184 pages and delves into the background of what is, arguably, one of the most famous dates in history. Over the next six months, we have four more Ed West books to look forward to: Saxons vs. Vikings, 1215 and All That, England in the Age of Chivalry…and Awful Diseases, and My Kingdom for a Horse. For anyone who enjoyed 2014’s What If? by Randall Munroe, the next science book on your reading list should be We Have No Idea by Jorge Cham and Daniel Whiteson. Full of the same tongue-in-cheek jokes and hilarious drawings, this new book sets out to explain real scientific concepts to science-savvy and laymen alike, using humour and amusing diagrams. James T. Costa‘s new book, Darwin’s Backyard, follows the life of famous scientist and explorer, Charles Darwin. Part biography, part scientific history, this book not only lays out how Darwin experimented on different biological matter until he was able to prove his theory of evolution, but it also gives us a glimpse into his private life, touching on his marriage, chronic illness, and the loss of three of his children. If you’re having trouble facing up to the fact that winter is coming, pick up a copy of Felicity Trotman‘s new collection of writings about our coldest season of the year. Winter is full of classic and contemporary pieces of fiction and non-fiction that will no doubt inspire some appreciation for the stark beauty of the season and perhaps help you look forward to the chilly months to come. Like a cocoon bursting open to reveal the beautiful butterfly inside, our store is pleasantly stuffed with colourful new fiction! 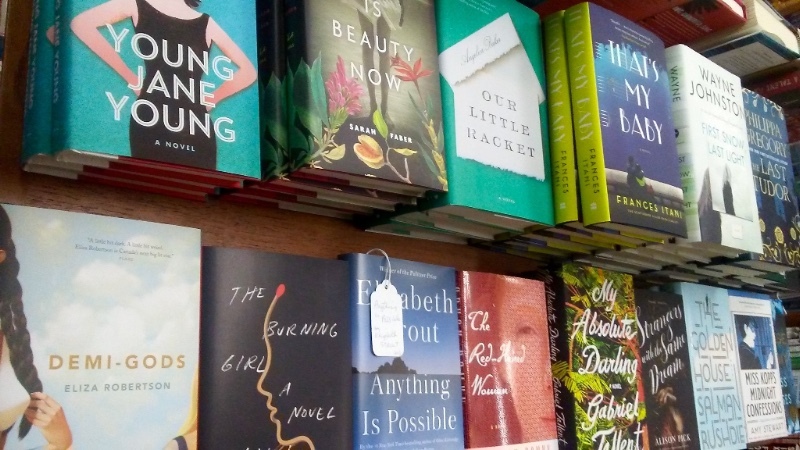 From highly anticipated, big-name releases like Louise Penny‘s Glass Houses and John Le Carre‘s A Legacy of Spies, to slightly lesser known titles like Young Jane Young by Gabrielle Zevin and Sourdough by Robin Sloan, there really is something for everyone. All is Beauty Now by Sarah Faber is a beautiful story about overcoming loss and nurturing hope for a better future. Set in Brazil in 1962, this novel takes readers on a trip through opulent private clubs, poor fishing villages, and over international waters as one family struggles to move on from the mysterious loss of their oldest child. If you liked Ami McKay‘s The Witches of New Yorkand can’t wait for Alice Hoffman‘s Practical Magic prequel, The Rules of Magic to be published in October, be sure to check out Louisa Morgan‘s brand new novel, A Secret History of Witches. Spanning five generations of women, it’s a truly magical, family saga. Are you lamenting the loss of Downton Abbey? Chomping at the bit for the next season of The Crown? Why not tide yourself over with Elizabeth Day‘s new novel? Full of privilege, hypocrisy, lies, and betrayals, The Party shines a spotlight on the very heart of the British establishment – a juicy and endlessly fascinating topic! Victoria Whitworthgives us a slightly different look at Britain by bringing us back to the year 859 and a time before the Norman Conquests in Daughter of the Wolf. Beautifully packaged with a built in ribbon page marker, this wonderfully satisfying novel is a historical tale full of deadly rivalries, powerful conspiracies, and strong women. It’s a great pick for lovers of Sharon Kay Penman, Sandra Gulland, Patricia A. McKillip, and Diana Gabaldon. It’s finally September and that means that one of our absolute favourite reads of the year, Insignificant Events in the Life of a Cactus by Dusti Bowling, is finally here! Centered around a young girl named Aven, this is a story about overcoming adversity, being true to yourself, and accepting people for who they are. Funny, charming, and heart warming, this book is a must read for kids and adults alike! From the acclaimed author of The Mysterious Benedict Society comes The Secret Keepers, a brand new story of adventure and magic. Set in motion by the discovery of a unique antique watch, Trenton Lee Stewart‘s newest novel finds a young boy shuttled from secret to secret until he’s faced with the toughest decision of his life to date – should he stay true to his innately honest nature or give in to the lure of becoming a hero? For a dose of cute, sweet, and a bit of cold wet nose, be sure to check out Catherine Lloyd Burns‘ book, The Good, the Bad & the Beagle. In this, her first book for young readers, Burns explores the trials and tribulations of childhood through the love a young girl for her dog. It’s a lovely, adorable read for anyone who’s ever asked “how much is that doggy in the window?” As one of Scholastic’s most highly-anticipated teen books since Suzanne Collins‘ bestselling series, Vikki Vansickle‘s new fantasy thriller, The Winnowing, is one to watch out for! It is sure to capture the hearts of anyone who loved The Hunger Games and Lois Lowry‘s classic, The Giver. Despite all the great titles that we’ve already got in store, there are always lots more treasures to come. Here are some of the ones we’re most looking forward to welcoming into the fold over the next few weeks: Therefore Choose Life: The Found Massey Lectures by George Wald (September 9), A Column of Fire by Ken Follett (September 12), Lost in September by Kathleen Winter (September 12), The Scarred Woman by Jussi Adler-Olsen (September 19), The School for Good and Evil #4: Quests for Glory by Soman Chainani(September 19), All We Leave Behind by Carol Off (September 19), The Seagull by Ann Cleeves (September 26), The Gifts of Reading by Robert Macfarlane (September 26), Lightfoot by Nicholas Jennings (September 26), Manhattan Beach by Jennifer Egan (October 3), Dunbar by Edward St. Aubyn (October 3), Turtles All The Way Down by John Green (October 10). With the days at the cottage numbered and the kids back at school, there’s no doubt that fall is a season of change. As we watch the birds start to fly south, the daylight hours slip away, and the leaves take on their seasonal auburn sheen, there’s nothing we’d rather be doing than lining up what books we’re going to read next. We’ve always thought that there’s something very special about sitting on a sunny patio, nursing a spiced latte, with a scarf wrapped around your neck and a great book in your hand! Just a friendly suggestion from you local, neighbourhood book experts!